Flamenco is a traditional Spanish dance from Southern Spain. More than just dance, though, Flamenco includes guitar playing, singing, hand clapping and finger clicking. It’s a really lively, energetic art form, and kids love it! Many schools are interested in encouraging their students to dance – it’s a great way to improve the children’s flexibility and confidence. Research even shows that dance improves their concentration, and all this while that are having fun and relaxing! 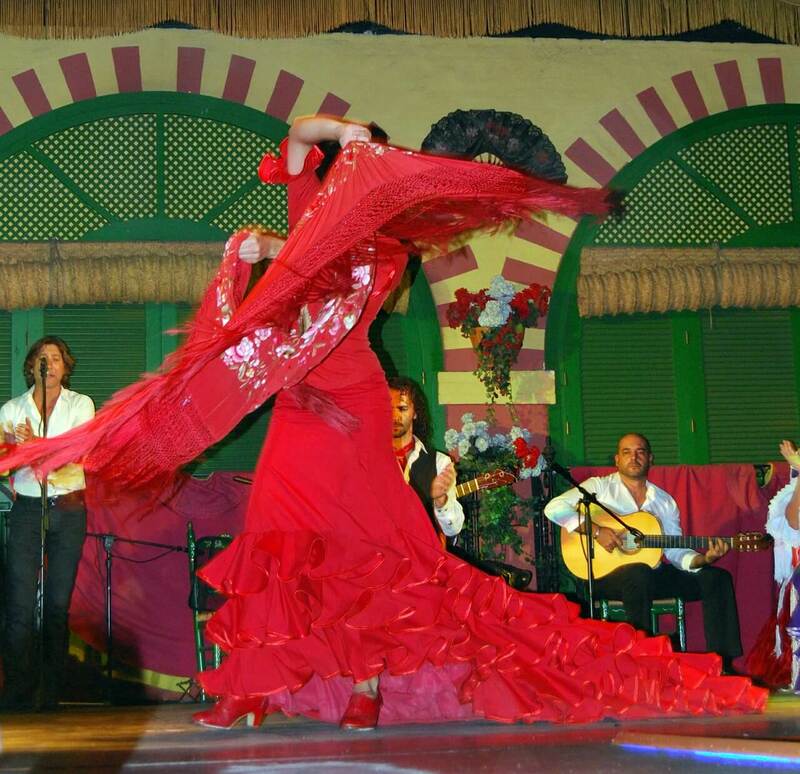 Historically, the Flamenco tradition goes back over 200 years and is thought to owe a debt to Andalusians, Moors, Castilians, Romanis and Jewish people who all mixed in the Andalusia region at that time. Initially, Flamenco consisted only of hand clapping and singing, and that traditional Flamenco style still continues. Modern Flamenco has evolved over time to incorporate musical instruments, particularly the guitar. It is a real Spanish cultural feast! At la Academia we have a wonderful teacher of Flamenco – her name is Teddy (Teodora). Teddy has been dancing for as long as she can remember, and learned many dance styles during her studies, including Spanish Flamenco, Cuban Salsa and Dominican Bachata. Latin dances became Teodora’s favourite dances to study and to teach. “I am one of those lucky people who work doing the thing that they love – Latin dance is my passion and I enjoy sharing that passion with my students”. Teodora particularly enjoys teaching children, saying that dance activities for children are great fun, and we get glowing reports of her dance classes for schools. To find out more about Flamenco in your school, contact la Academia on 0161 491 1444 or email us!